As a public historian, I am always excited when history is shared with the wider public. Historical photographs, videos, and documents should always be shared with as many people as possible. History belongs to the public, not to dusty old boxes and forgotten attics. Students: Grade school, high school, and college students will now have thousands of photographs and thousands of hours of oral history footage to use for class projects. Never before have they had so much interesting primary source information at their fingertips! Teachers: Likewise, teachers will now have easy access to an almost unlimited supply of primary sources. This fits perfectly with the latest state and federal curriculum guidelines, which emphasize the use of original materials. Scholars: Professional historians and researchers will now have digital access to thousands of personal photographs and first-hand accounts. 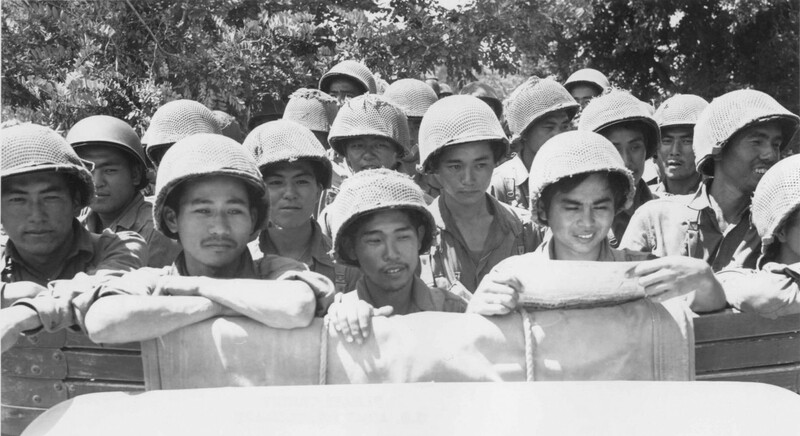 Authors and Filmmakers: With all of these new resources digitized, authors and filmmakers will be able to create countless new books and videos highlighting the Japanese American soldier experience. Families: Perhaps most importantly, the families of the veterans will finally have easy access to their stories. Children and grandchildren will be able to explore the courageous histories online, learning firsthand the heroic stories of their parents and grandparents. And many more! The number of people who will now be able to explore this history is simply immeasurable. We are so excited and so thrilled to share these materials with the public! In honor of Veteran’s Day, this entry is dedicated to a special World War II Nisei veteran, Tetsuo Asato, who fought with the 442nd Regimental Combat Team and was one of the Go For Broke National Education Center organization’s founding members, who recently passed away. Tetsuo Asato grew up on a farm in El Monte, California with his Issei parents and three siblings. His life was turned around after the bombing of Pearl Harbor on December 7th, 1941 – his father was taken by the FBI and sent to Tuna Canyon detention center, while he and his family were forcibly removed to the Pomona Assembly Center, and later, to Heart Mountain concentration camp in Wyoming. Fortunately, his father was released from the Santa Fe detention facility and transferred to Heart Mountain to rejoin his family. 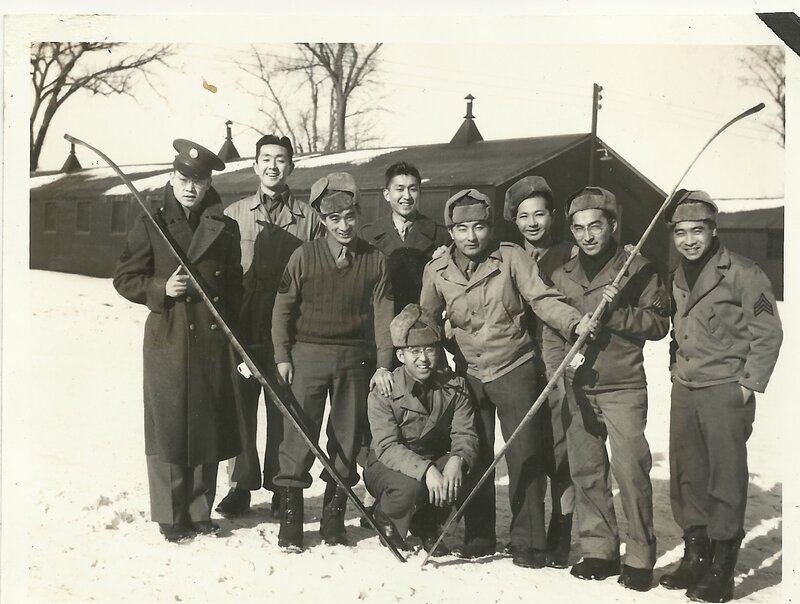 While at Heart Mountain, Tets passed the time topping sugar beets for local farmers and working for the Fire Department within camp, but was later drafted into the segregated Japanese American military unit, the 442nd Regimental Combat Team. In this video clip, Tets talks about how he learned about the 442nd Regimental Combat Team/100th Infantry Battalion while in camp, and his initial thoughts about being drafted. Tets completed his basic training at Camp Shelby, and was assigned to G Company – one of the 442nd RCT replacement outfits sent to the European Theater. He was sent to fight in the Northern Apennine Mountains in France, which was part of the Gothic Line and Po Valley Campaign. He was awarded a Purple Heart, Bronze Star, as well as other unit citations for his military service. After returning home from the war, he settled in Los Angeles, California, raised a family, and started his own insurance company. He also became quite active in the Japanese American community, participating in various clubs and organizations — one of which was the Go For Broke National Education Center. “Tets Asato was one of the greats. His involvement with this organization goes all the way back to the beginning. As a founding board member, he and his fellow veterans raised over a million dollars to build the Monument. He was the chairman of the Veteran Monument Committee and for over 4 months, he was personally at the site almost every day overseeing construction. After it was built, Tets, George Fujimori, and Ken Akune (otherwise known as the 3 musketeers) served as dedicated docents 3 times a week and would meet at the office before heading to downtown. Tets Asato was one of many Nisei veterans who fought for this country during World War II, and he will be greatly missed. Today, we also remember and honor ALL of the veterans who have fought, and continue to fight, to protect this country.